Bonjour my Beauties, it feels like Summer already in Orlando and I am so ready to pull out all my blazers to wear on top of my outfit to give an effortless chic look or simply because any indoor places in the States is freezing cold haha so a sweater or blazer is required. For today's inspiration, I put together a night out outfit for dinner or lounge. You could simply tone it down with wearing flat sneakers for example. I am obsessed with this blazer as not only the fit is amazing but it's also lightweight and the shade of beige is perfect. It's blazer that can be worn with pretty much anything as it's very versatile. 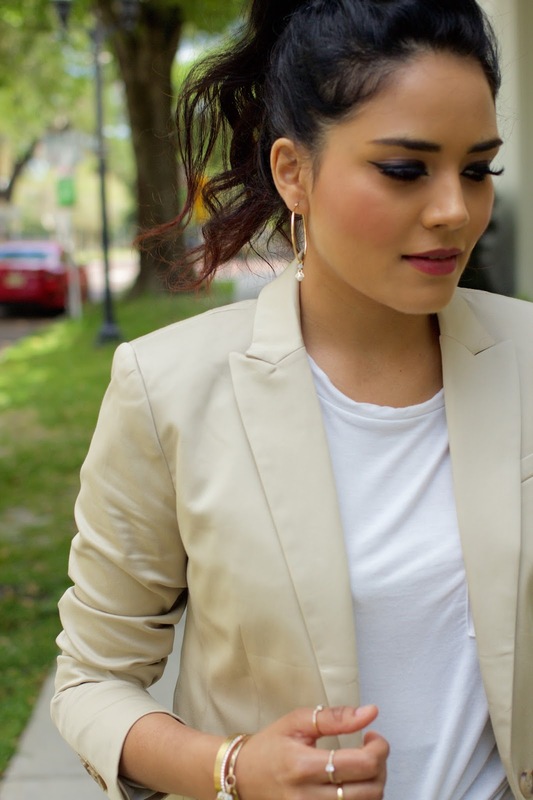 So in honor of having a love relationship with blazers, I have listed for you 5 of my favorite must have for this Summer with a brief description on how you can style it. Simply click on the image to shop it and also scroll all the way down to shop the look I am wearing. On this one I am loving the ruffle details, it would look so cute on top of a jeans and a white tee and sneakers. 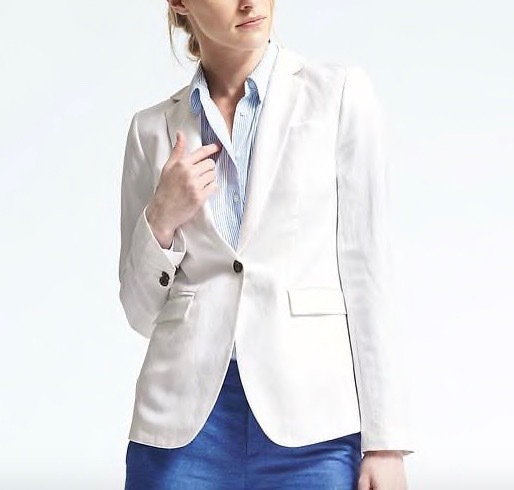 Linen white blazer is a must have, it looks so good on top of a jean short with a tank top. It will give you the effortless simplistic look. 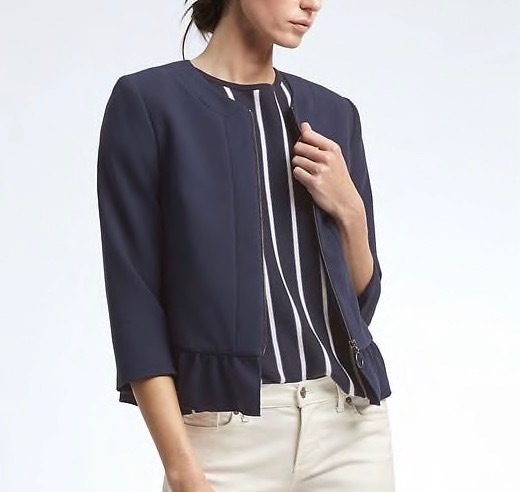 Peplum blazer will look super cool on top of a skirt, of dressy shorts. 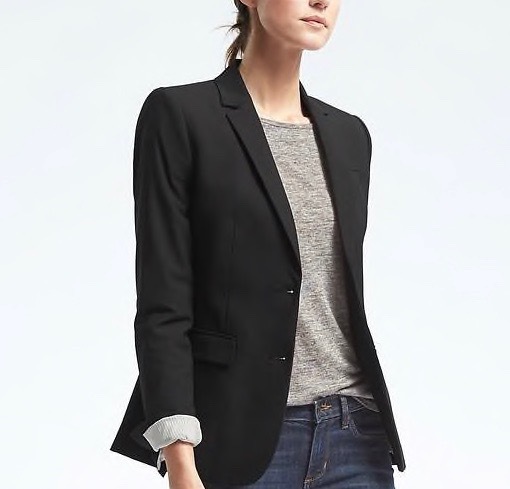 The best for the last one, THE MUST HAVE black blazer, this will go with pretty much anything, it gives such a effortless chic look for your outfit. I have like 5 of them because you can do never go wrong with it. Simply make sure if fits you perfectly. I wear size 0 at Banana republic for blazers!